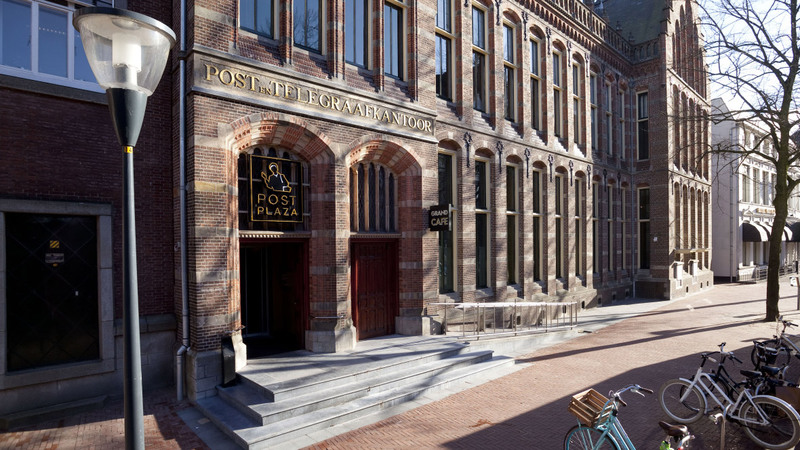 The old post office of Leeuwarden is now redesigned into Hotel Post-Plaza. 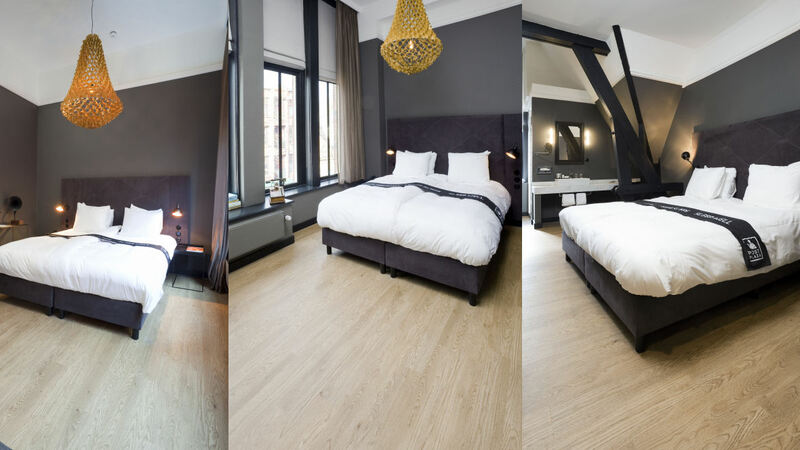 After the enormous renovation and refurbishment the result is a hotel with a beautiful grand café and coffee roasting. 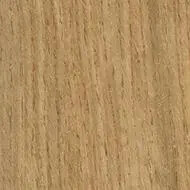 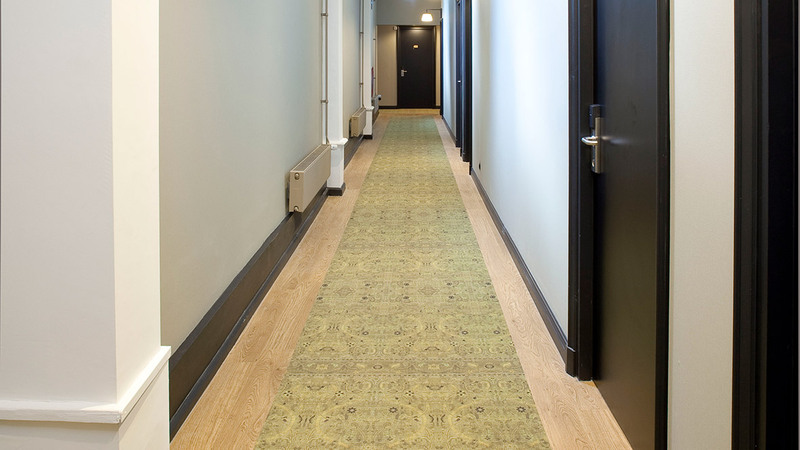 In the hotel rooms Allura Wood luxury vinyl tiles have been installed. 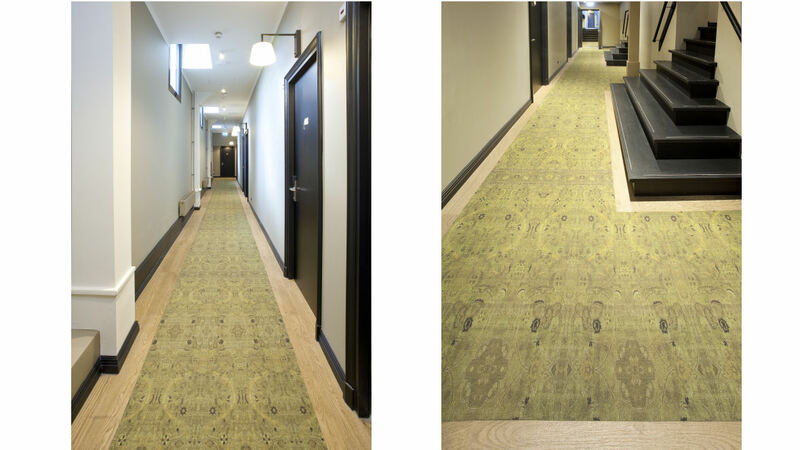 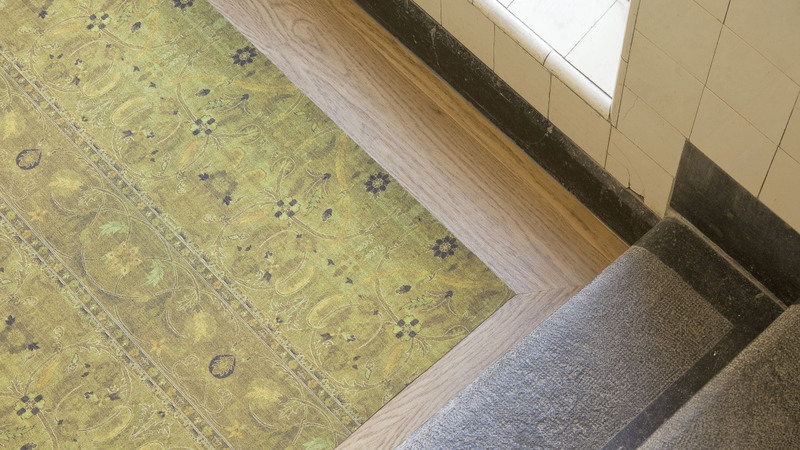 The same Allura Wood is laid in the corridors, where it is combined with a unique Flotex Vision digital printed design. 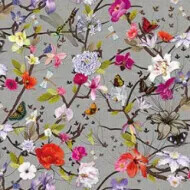 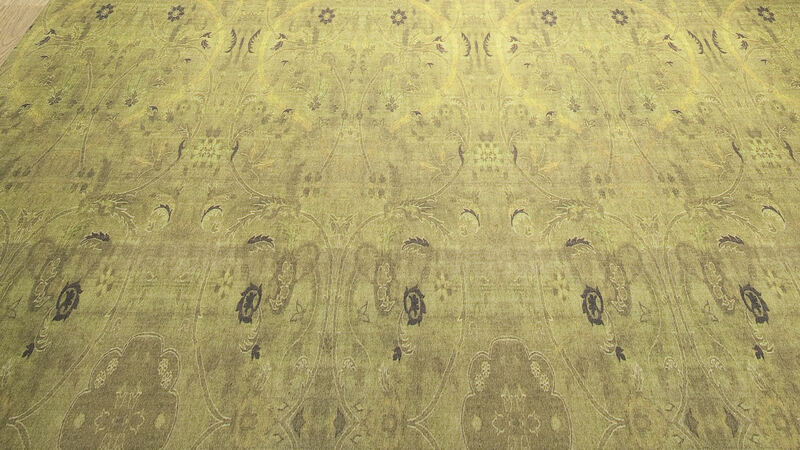 The design is inspired by an old Persian carpet.